the island of anguilla boasts white powdery beaches and guarantees exclusivity that is ideal for any traveler wanting to escape the real world. nestled between barnes and meads bay is the polished caribbean, modern chic viceroy anguilla resort. this resort relishes in the finer things in life and awaits the big-name bon vivants, billionaire business tycoons, upper-class families and loyal a-list celebrities such as Ellen Degeneres, Sandra Bullock, Channing Tatum and Magic Johnson. many arriving by private jets and mega yachts, it's truly like nothing i've ever witnessed. although the rich and famous frequent, any pleasure-seeker will find their way into this palatial paradise. upon entering the property, imagine the beach vacation you have always (yet never!) fantasized about - luxury gleams from the shiny white marble entrance lined with water features. next you are transported down a lush, landscaped strip lined with palm trees, and a posh lobby invites with glamorous furnishings by minimalist designer kelly wearstler. welcomed by a charming staff, check-in is a breeze and the only decision top of mind is your drink order and where to get wet. all you need is a room number, designer wayfarers and the perfectly pedicured toes to truly sink into this impressive hideaway. once you are welcomed into your accommodations, another exploration awaits - the rooms are so spacious you feel like a kid again peering behind each door. our view was overlooking meads bay with a patio large enough to stage a large bash and not to mention a private plunge pool. fancy yet practical to preserve the theme of staying wet while in the caribbean, who really needs clothes anyhow! if you decide you might want to dress up, the designer seaside luxe boutique on property will entice your wallet with everything from missoni to james pearse. the indoor space is beyond easy on the eyes, with luxurious linens and bathrooms, stainless steel kitchens and modern furnishings such as driftwood lamps and beautiful wooden four-poster beds, all styled by kelly wearstler. i must admit, more time was spent in our private pool and patio, with a grill set-up and outdoor furniture. my favorite, the outdoor hanging beds - a step up from hammock surfing and has enabled me to create a new room category for hoteliers - the fabulous ocean front bed. i would book it! why not sleep under the stars for a night, spark true romance and a sense of adventure by stepping outside the thread count, see what happens. your outdoor shower will be there in the morning toting luxurious neil george bath amenities. my favorite setting is the sunset lounge set cliffside expelling an infinity pool with an incredible ocean view from every chair. i hung my beach hat here many times as it's a spot that makes you feel completely blissed out. they have outdoor beds here too! the menu features asian inspired bites, fresh sushi delights and the occasional cuban cigar if you desire. the swank lounge is the perfect spot for a refreshing glass and a fiery setting sun. for dinner I also highly recommend Coba, a spectacular ocean-front spot featuring dramatic views for a fabulous full course feast. a newly revamped menu by renowned chef rafael gonzalez, coba offers fresh selections from oysters on ice to their prime steak cuts such as wagyu to chilean sea bass. surprisingly i found Coba to be reasonably priced, with unmatched service and a superior selection of seafood, such as locally caught snapper and crayfish. the crayfish risotto is divine paired with a chilled bottle of buttery chardonnay. more options for dining are the beachy half shell on barnes bay beach and aleta for the full house breakfast buffet. 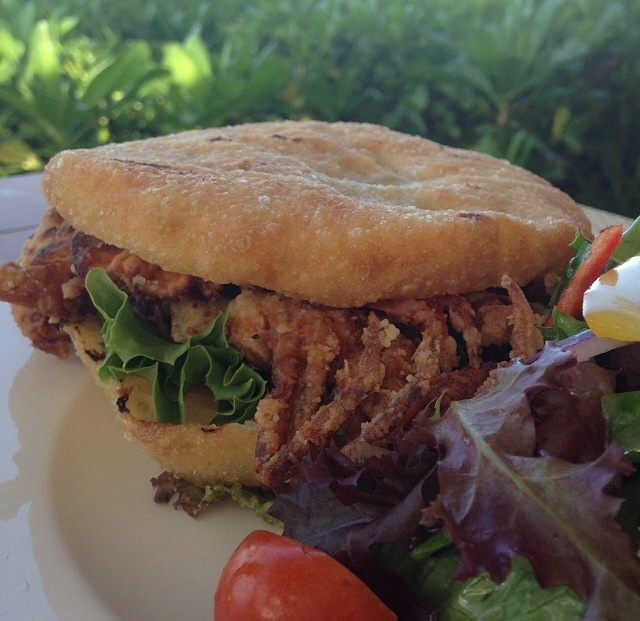 my favorite lunch items are the sand crab sandwich and the joyah bread salad at the quaint al fresco bar and grill, bamboo on meads bay beach. crispy yet soft sand crab wedged between johnny cakes with green leaf lettuce and a secret sauce, it's one of those explosive mouth-watering delights, a foodie must-try! so many corners of this resort to run wild and barefooted - viceroy is truly a beach goers playground and poolside paradise. with the beaches and four plus pools (including the spa and private plunge pools in the rooms) you are guaranteed to return home with a sun-kissed tan - even my fur baby mo got one! you have to love a pet friendly resort as well (up to 20 lbs). also the two-story villa spa will revive and relax your body, a deep sea massage is a must after an upbeat spin class with Danny or morning yoga with Sammi. the spa also carries my absolute favorite skincare line, which i rave about in this recent beauty article. did i mention the resort's ocean trampoline? word of advice, never pass up an opportunity to jump! as you can see below mister mo loved sailing, stand up paddleboarding and beachcombing. morning stroll on meads bay - the most azure waters i have every seen. sometimes a chair is unnecessary to enjoy the view. stop seeking the beginning and the end of the rainbow and cherish the moments in the middle. to further tempt your wanderlust check out the resort's video of the luxurious property - check availability and book a stay in paradise here.